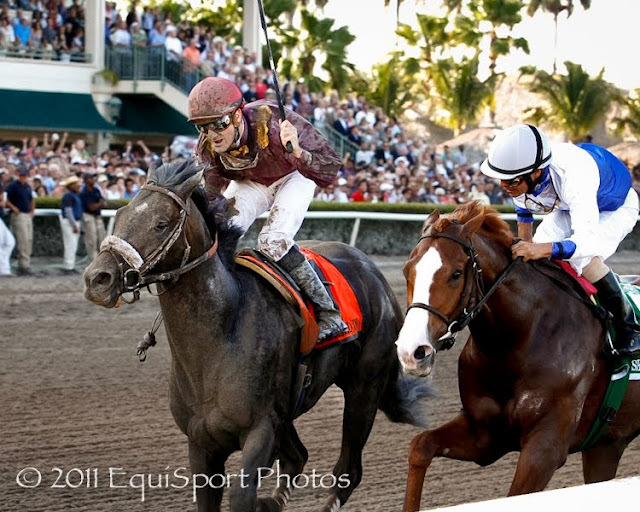 Spotting the field 14 lengths going into the back stretch, DIALED IN proved this skeptic wrong by winning the Florida Derby in dramatic last-to-first fashion. The Mineshaft colt reeled in the frontrunners in the turn, and in what proved to be a well timed run, got up by a head over longshot SHACKLEFORD. DIALED IN moves up a spot to the "Top 21" #3. What was disappointing about Dialed In's performance? The last quarter was run in a pedestrian 13 4/5. So what appeared to be a nice run for the wire, was actually the rest of the field quitting. I would hardly call it a breakout performance. Still Dialed In moves forward only because, once again this year, everybody else is backing up. Behind the top 2 in the Florida Derby, it was 6 lengths back to TO HONOR AND SERVE, who drops like a rock to "Top 21" #15. It was 1 more back to FLASHPOINT who moves to "Top 21" #21 and still needs earnings. The biggest disappointment was Uncle Mo's stable mate STAY THIRSY , who tired for 7th place and tumbles down to "Top 21" #16. You've got to include surprise runner-up SHACKLEFORD the Derby picture now. With $212,000, he currently sits at 19th on the earnings list. I'll put him in the "Top 21" at #11. No one has impressed me more this year than PREMIER PEGASUS, with his eye popping performance in the San Felipe. He continues to train brilliantly towards the Santa Anita Derby, Saturday, April 9th. I'm going to give him the top spot this week "Top 21" at #1. 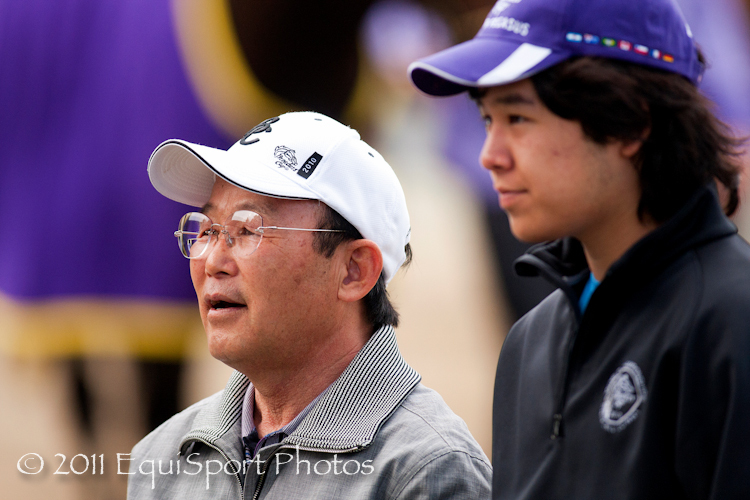 Trainer Myung Kwon Cho is hoping to add to Premier Pegasus' earnings with a strong showning in the Santa Anita Derby, he is currently #18. Top competition will come from JAYCITO ("Top 21" #4), ANTHONY'S CROSS ("Top 21" #8) and SILVER MEDALLION ("Top 21" #12).